Robert S. Mueller III got quite an initiation when he started with the FBI. Just days after becoming director, he was faced with the attacks of Sept. 11, 2001. His term was supposed to last 10 years, but his tenure was extended two extra years. That extension ended this month. Not everyone agrees on tenure. Unquestionably, he was a stoic fella, who took the job very seriously. He was very dedicated. After Sept. 11, 2001, he retooled the FBI, putting a heavy emphasis on terrorism. Some thought he went too far, particularly those who dealt with corruption and violent crime. Some thought he was a great boss. And others, well, they didn’t care of his style. I asked folks to send me comments on his tenure. Positive or negative, I asked that the comments be thoughtful and within good taste. The following are some responses I got. If you still care to comment, or I missed your email, I can add. Submit your comments to: Allan.Lengel@gmail.com. 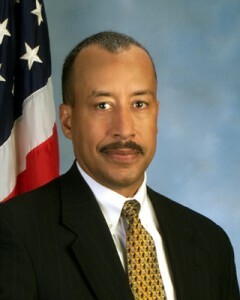 MIKE MASON, retired Executive Assistant Director of the FBI. I believe history will show that Robert Mueller was the absolute right person at the right time to assume the helm of the FBI. The FBI needed to change and needed to do so quickly. In the face of a historic attack upon our country, the standard way in which the FBI operated, specifically the significant autonomy granted to each of the FBI’s 56 field office’s Special Agents-in-Charge was not going to be an effective model to address the rising threat of terrorism facing the United States. This fight called for a concerted effort across the country and around the world. 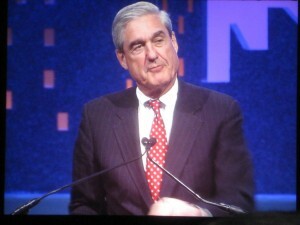 Director Mueller met this challenge by significantly reorganizing and growing the FBI. He understood immediately that unless there was a single, nationwide level of tight, daily sharing of relevant information, we had no chance of containing an enemy that did not respect territorial boundaries. Managing terrorism cases out of Washington made each case national…even international in scope. The timely sharing of critical information, operational methodologies and even the creation of a common taxonomy required a massive collaborative effort and Mueller possessed the vision to achieve those objectives. Did he make some FBI employees unhappy along the way, absolutely, but when has that not been a cost of change? 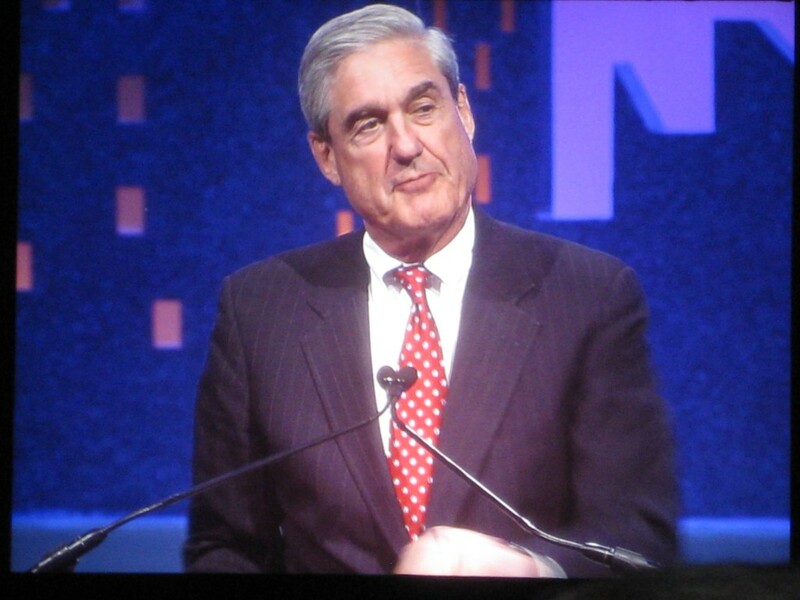 Bob Mueller was one of the most focused, intense leaders for whom I have ever worked. The FBI is a better place because of his vision to bring about radical change to an organization that was too often wed to its historic roots. I first met Director Mueller in the New Haven division in early 2002. At the time, I was a member of the Director’s Advisory Group (DAC), specifically Aegis, the support employee advisory committee. I asked Director Mueller if he would be continuing with the DAC’s the Directors Sessions and Freeh had worked with. He advised he would. From spring of 2002 until Spring of 2013, when I stepped down after my second term as Co-Chair, I had the opportunity to meet with Director Mueller and his executive staff on numerous occasions. We were always treated with respect and kindness. We had many discussions regarding the concerns and issues of employees across the bureau. The issues ranged from studies of positions for possible upgrades to the impact of any furloughs on employees. Did we get everything we asked for, no. Did we have many discussion regarding our issues and why they would or wouldn’t be considered. Yes, it didn’t always go our way but we usually came away with an understanding as to why it couldn’t be. Will I say his tenure was perfect, no. But I was truly honored to be a support employee who had the opportunity to represent my peers and I know our concerns were heard and no decision was made without thoughtful consideration. I retired from the FBI 3 months ago after 22 years as a Special Agent. I don’t know if Director Mueller was the worst FBI Director during my career (Director Sessions was questionable as well), but he was certainly the most disliked. It was very obvious that he had no interest whatsoever in agents, their interests or their morale, and it was universally known by all that he did not care for FBI Agents from the beginning. In fact, we knew during his time as a US Attorney that he did not care for the FBI, so we were all confused as to why he would take such a position. He made it very clear during his tenure that Analysts were his focus and their interests were his mission. Analysts were brought in at a pay grade higher than agents could achieve unless they went into management, and this sent a very poor message about his regard of agents. Many agents often joked that it would not be long before all of our weapons were taken away and we were all reassigned as analysts. The increase we are now seeing in violent street crime was expected by most of us after he directed the majority of criminal squads to be shut down and those agents transferred to counter terrorism squads. It takes someone with a law enforcement background to understand what is needed in an organization like the FBI. When you are asked to do more with less you need to show your people that you still have their interests in mind – most of us felt like we were expendable to Director Mueller and we were VERY disappointed when his tenure was increased by two more years. Just for your information, in my opinion, the best Director during my career, by far, was Louis Freeh. He had been an agent and understood what we dealt with on a daily basis and I think that is necessary for the job. I just wanted to share my opinion – thank you for asking for them! The US Attorney General and other heads of agencies publicly praise Mueller’s service at the Bureau but there’s another side the public doesn’t know. Mueller’s personnel decision practices has deeply scared the morale of FBI employees. He brought Joe Demarest in from retirement to lead the NY office, effectively telling all of the onboard Senior Executives they couldn’t handle the job. He appointed Sean Joyce as Deputy Director, who is now the performance evaluator of SACs – Agents who head individual FBI field offices – but Joyce himself has never been an SAC. These are just two examples of personnel appointments that would cause anyone to shake their head. So was Mueller’s tenure at the Bureau beneficial to the agency…… Yes and no. We are a different agency because of the employees’ dedication to be a better agency. But while Mueller led change, he also sucked the life of morale out of the Bureau, leaving numerous wounds behind because he did things his way instead of the right way. This is what the public doesn’t know. Although it has been several years since I last wrote, I could not help but reflect upon what has happened to my Daughter, FBI Special Agent Theresa Ann Foley. These thoughts are from a mother who has dealt with the ramifications of the FBI’s behavior for almost ten years now. Each year that passes, my opinion continues to deteriorate as to what occurs with the FBI. It will be ten years ago this October, in which Theresa went down to Guantanamo, while Mr. Mueller was Director, and as noted in many a correspondence, the daughter we sent, never returned. She was not sent to a war torn country, but to a United States Naval Base where the FBI was working. She did not run into “enemies” of war, but her very own co-workers, who carried the same badge and took the same oath. The difference was, Theresa abided by hers. Some may state that they have seen great things under Mr. Mueller, a changed Organization focused on Counterterrorism, successful prosecutions and planned attacks thwarted. However, as Theresa has noted, you can laud all the successful prosecutions you want, but it is the integrity of the institution, which should be a focus, for it is only with integrity that all investigations come to successful fruition. It is the core values of law enforcement. When your responsibility is to that of the Constitution, you have an enormous duty and responsibility to uphold it. I speak on a personal level, as to what I, along with this family, have witnessed since 2003 in dealing with those in the FBI. I can honestly and openly state as a Mother, I believe the organization, under Mr. Mueller, to have become an entity focused on doing what they want personally, and not following the Constitution. Anyone who disagrees or argues and states this is not so, should spend some time with Theresa and see what occurs, and has occurred under Mr. Mueller. If you dare to report the truth, you will be dealt with, and your career will be over, and as in Theresa’s case, physical injury, causing enormous pain and suffering. Many tell us, that what has occurred with Theresa is unlike anything they have ever seen or witnessed from our Government. I tend to agree with them. Theresa reported the truth of what happened to her on Guantanamo. 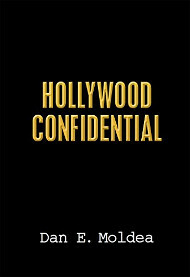 Her story has been reported in the press, and has been documented in volumes of legal filings, Which to this date are sealed, due to the FBI not wanting the names of those involved revealed. Once you commit bad behavior, the FBI will protect you at all costs. Once Theresa reported the “bad behavior” of Guantanamo, all contact was cut, her benefits taken away, and the beginning of an enormous legal battle. This legal battle was initiated at the stark realization that the FBI had turned their back on Theresa, and was supporting the actions of the Agents, which orchestrated and caused this grave harm towards her. Theresa’s case has been ongoing now since 2004 when she first returned to us from Guantanamo. Lost filings, delays, changes in venues, and the final realization of what we were dealing with, when I read, as her mother, some of the depositions. I wish Mr. Mueller a nice retirement as he “steps down”. I will continue on in my retirement from working in law enforcement. This will be done without my husband, Theresa’s Father, who passed in the past year in the midst of this horror. Theresa felt sad that he spent the last years of his life watching her suffer. It really did take a toll. It’s not easy being a parent and witnessing your daughter go through surgery after surgery, two major spinal fusions, numerous hospitalizations, and a forever injured right leg from a horrific firearms incident. It’s not easy seeing her undertake this changed life. This never had to happen. I will continue to care for her physical needs and wonder what will occur when I am no longer able to do so. I will continue to fight for her medical treatment and all that it entails. I do this, for the FBI left this family a long time ago. Frankly, this is his legacy. He should have dealt with it as any leader should. As always, thank you for listening to this Mother. Posted: 9/9/13 at 9:16 AM under FBI, News Story.